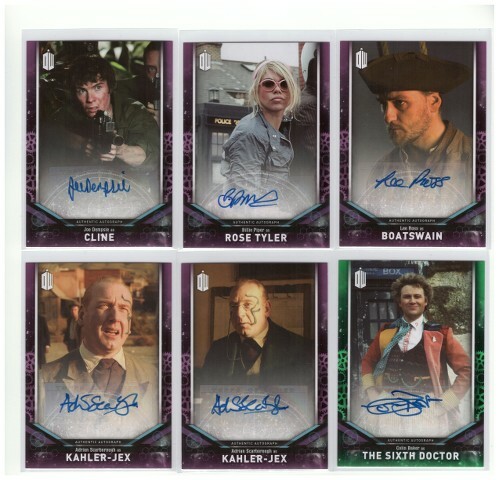 Got 12 packs of the Doctor Who 2018 Signature Series. 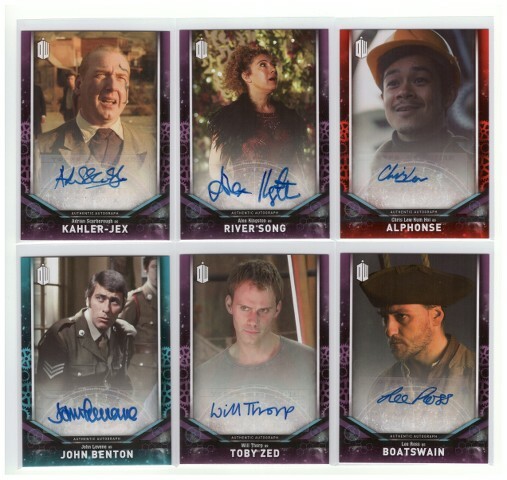 You got some nice ones, Piper, Hurt, Kingston and the Doctors. I never pull those. Congrats. Thanks. 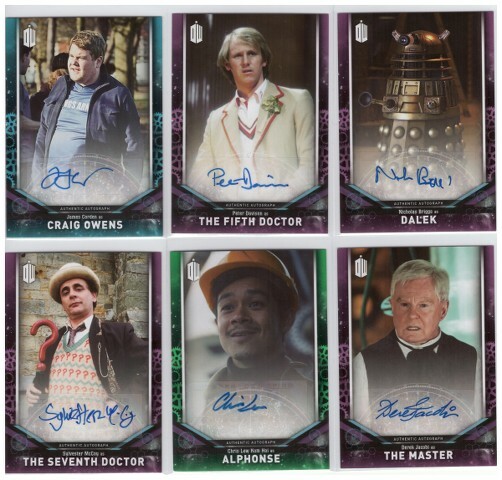 With those been on 9 of the 79 single cards there should be a good chance of getting one of them. 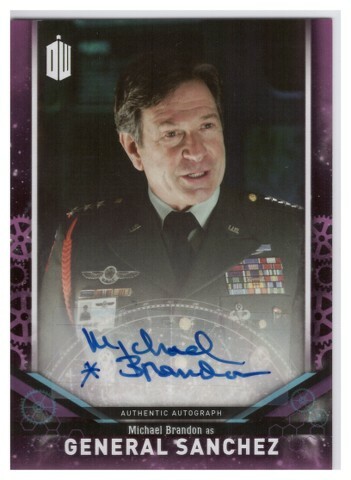 There's other good cards in the set to. 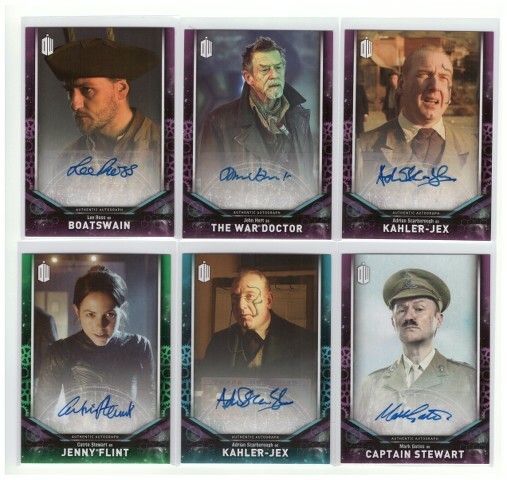 Still not seen about 13 of the single card in anyone's posts or on eBay so they must still be at the bottom of the pile on Topps shelf's. 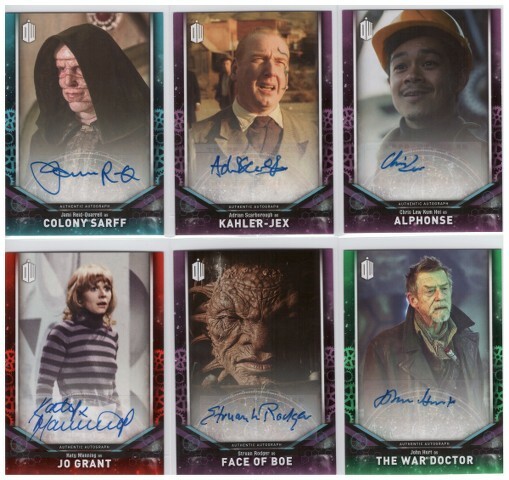 These are some great autograph pulls. 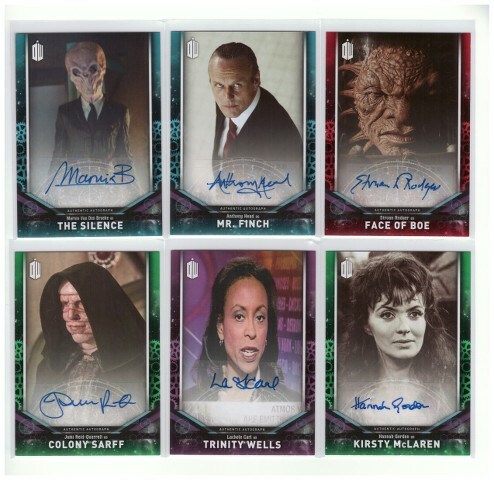 I'm going to hunt out some of these packs. 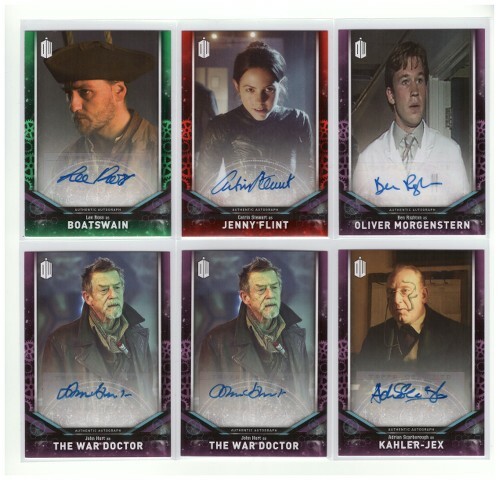 Would love an Anthony Head or Billie Piper or James Corden or John Hurt especially. Thanks for the photos too. I got another 25 packs in the sale. 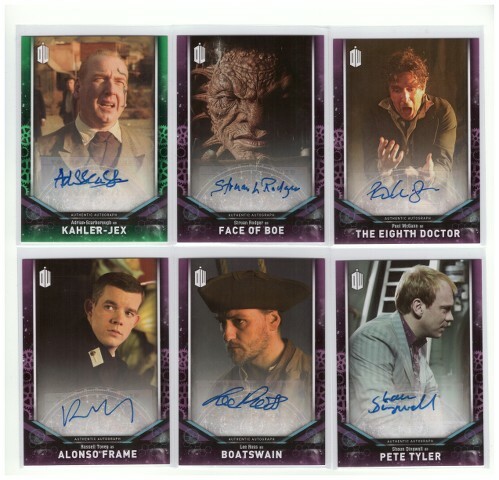 I got the first John Simm card I have seen anywhere for this set and I manage to pull the 1/1 very happy with that. 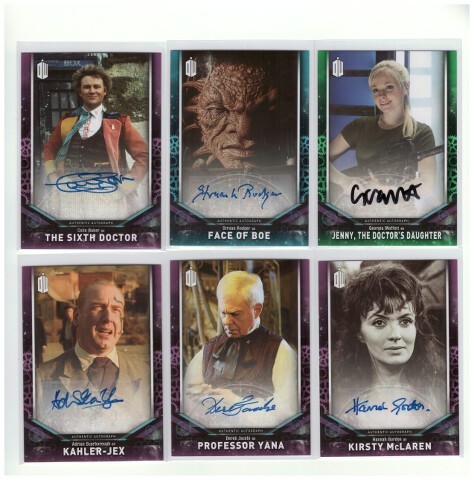 Over all happy with the spread of level of cards but not to happy to get so many repeats of the same cards in the 25 packs I got. 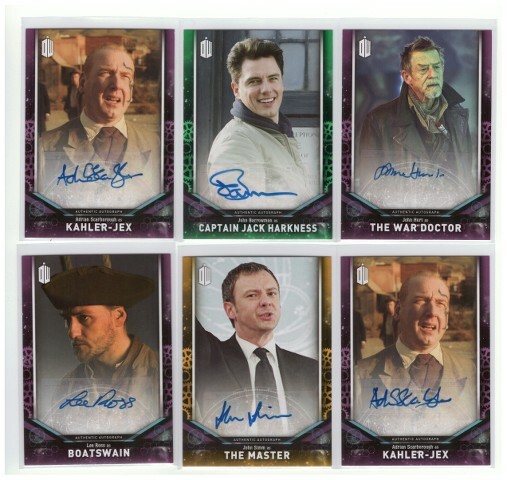 Are you willing to trade or sell the John Simm gold 1/1 card. 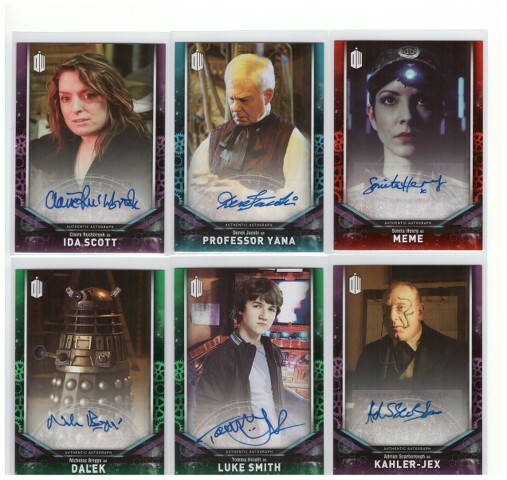 Got 25 packs of the Doctor Who 2018 Signature Series. Only added 4 new card and can upgraded a few. 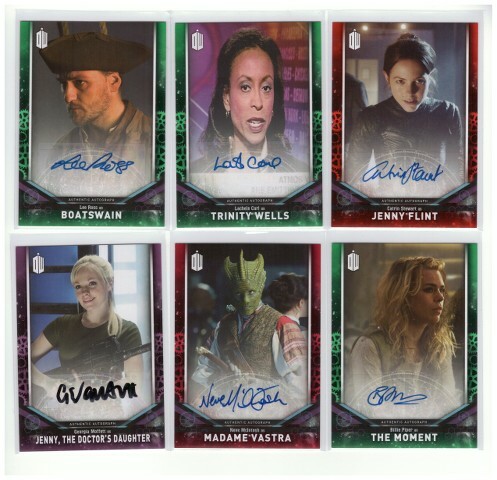 Still only seeing about the same 60 cards in most breaks and from sellers. 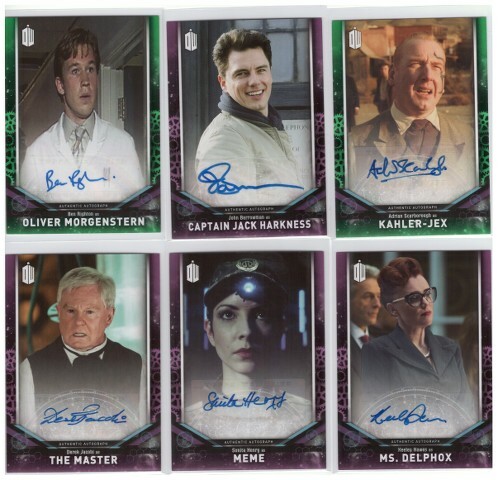 The rest of the cards must be on the bottom of the shelf at Topps. I don't think I will be getting any more pack until I start seeing those missing cards appearing. So what cards haven't shown up yet then? Nothings forgotten, nothings ever forgotten. 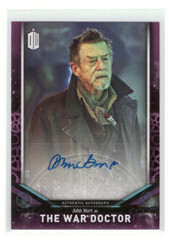 A few more I have only seen one or two off like the Simm card I pulled is the only one I have seen so far. 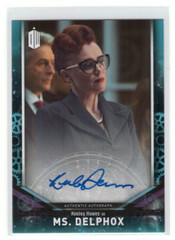 I have downloaded scans of every card I have seen so far. 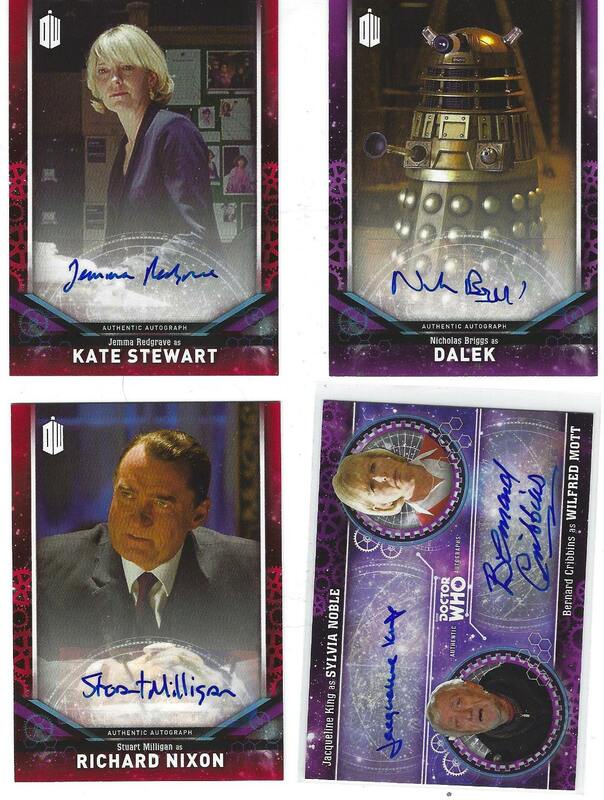 I like the Hannah Gordon card, never knew there was one. A scan would be great. 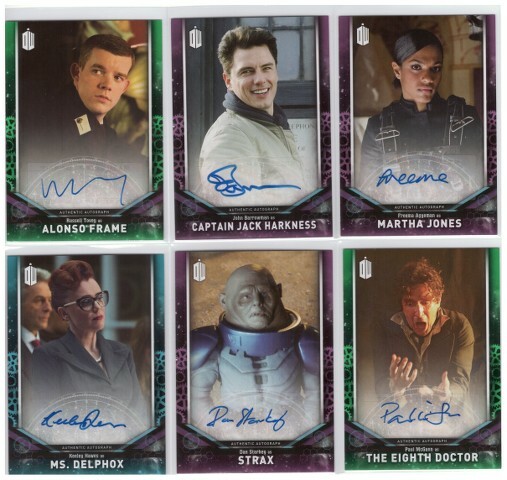 I was shower the cards would turn up it's just seamed to be the same cards showing up so far. 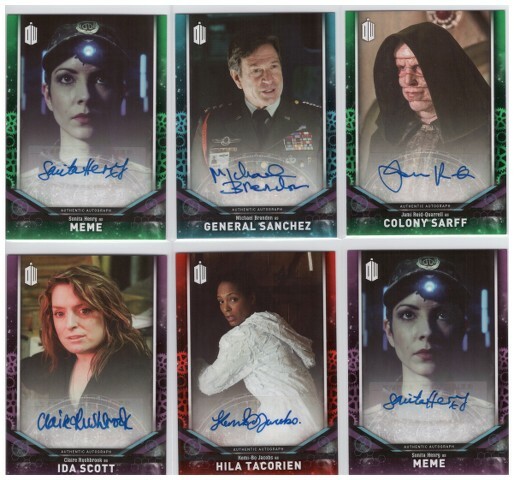 Thank you for all the pictures, it's nice to see these autograph cards. 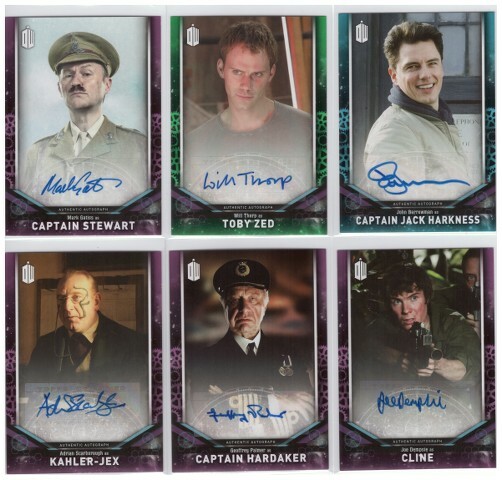 The only thing that intrigues me is no having seen David Tennant's autograph card in this collection. Sandra, french collector fan !! 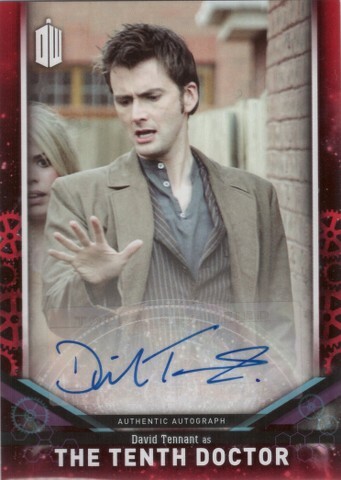 Still not seen a few of the cards anywhere but I have seen a Tennant's auto which I bought. Except on the website, I had never seen (parallel or normal). Thanks Sittin9duck, it's very nice. 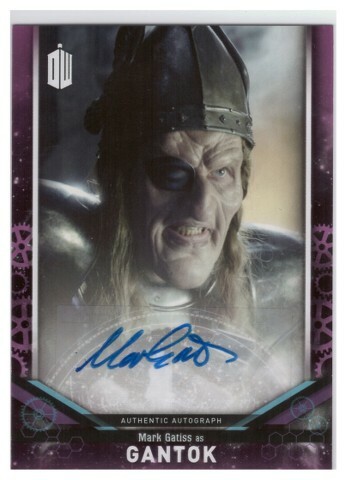 They are one of the cards numbered to 5 and a bit darker red than those numbered to 10. Got some more pack in the sale last week. 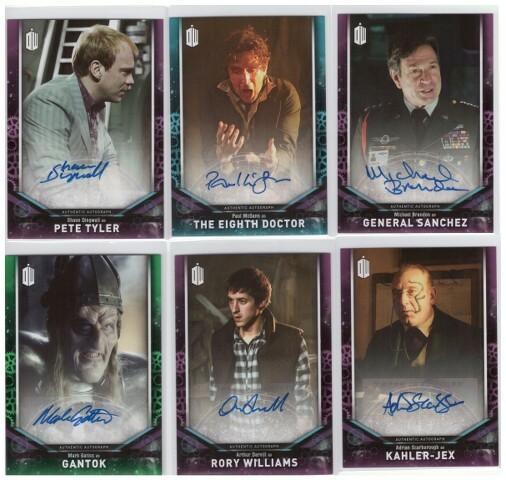 I have these already so apart from a couple of upgrades all will be available for trade.